Pro Tips - Disc Golf - Disc golf for life. Living for disc golf. I wanted to touch on positivity and how quickly good things spread (and also how quickly the bad does also). Your card consists of different personalities, some social, some weary, some self conscious, some extremely negative. I myself have witnessed a group of these people, throughout a round start as such a mix-matched bunch, to giving high fives and "good shot's" and smiling and laughing together despite all of their differences. I have also been on the card with the one negative person that can bring the entire card down. Which do you want to be, and which do you think is better for everyone? I had (I deleted "I have" because I'm moving forward) gotten selfish and internal and negative 1. It was ruining ME as a person in every aspect of my life. 2. It DOES effect the people around me and my game. 3. It turned into a scary spiral and lastly, now, finally 4. I am getting back to the GOOD. THANK YOU for everyone who has had faith in me that I would get past it, and has been there for me (and still are) no matter my bad attitude. I’ve watched a ton of disc golf videos this week. Form form form, distance distance, confidence. I’m streaming some Mellow Yellow Challenge @ Solitude videos, watching men park 800 foot downhill shots for a 50 foot putt. I snapped a little bit and just (to my friend) yelled “I WANNA THROW 800 FEET!”. Yeah it’s downhill but it was the beginning of a huge discussion on why don’t I, and why don’t “we” as women (most women)? I have a few theories, and please, I’d love your input since no one is right and I want to crack the code! I’m a lady. I get complimented on my form all the time and I always say “that’s all I have.” I’m a little girl with comparatively small muscles but there are still small men out there, that aren’t putting in training time, throwing 200+ more than I can without much effort. So why? I’m passionate, I’m taking the time to learn, I’m not convinced that I CAN’T throw that far…or am I? I have a theory that there’s a lot of simple subconscious going on here that’s keeping me from throwing even 500 feet. Considering I choke while competing (for seemingly no reason) and can’t throw shots I KNOW how to make, I feel like there’s definitely something there. There are 2 sides to this that Erika and I discussed. 1. How far do we ladies NEED to throw? What I have works for me and I can keep up with my division throwing 315 feet... I think there’s a stigma in the sport right now, but it’s mostly due to lack of competition. Let’s grow the sport to 50/50 women/men and see if 315 feet will do me any good. I think not. 2. How far do we think we CAN throw? This is a tricky question that I'm sure is different for everyone but I'm guessing we're working inside a box. Paige Pierce is our prime example, and a damn good one, but look at the men's field with Amateur players still tossing 600 feet. 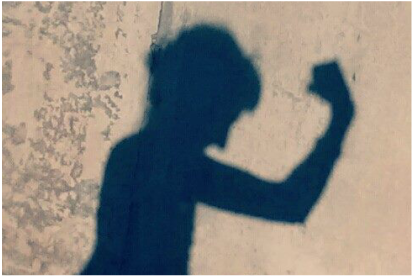 Anyhow, I don’t want to settle where I am, I want to learn, and I want to be a big arm no matter my gender. So that cover’s a small portion of men vs women…how about form vs force, very similar but different? I’m the first to admit I’m not the most ladylike lady I know. I’m crude and like getting dirty and play with the boys better than I do with the girls in most things…but I’d still describe myself as dainty. I have a small delicate frame and I care about not breaking my body. Granted I have a history of literally being broken (a vertebrae to be exact) so this may apply to me more than others. But as my friend Erika and I discussed; day 1, you put a frisbee in a girls hand and she tosses it gently with only her arm (I take full responsibility for generalizing). Now do the same with a boy and he throws it as hard as possible putting everything into it. 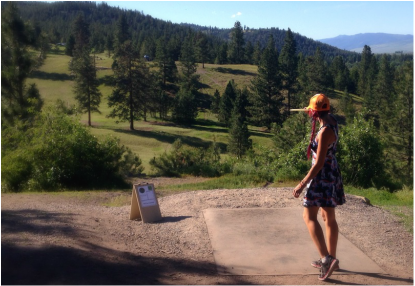 I think this is a huge factor in women’s learning curve in disc golf. Maybe if I’m more willing to sacrifice that daintiness/caution that I play with, I’ll figure it out. Being somewhat reckless might be a good thing in disc golf. I have a lot of work to do, but little mental blocks like this seem to be my main struggle at the moment. Sorry to get so technical but frisbeelife will do that to a person and 6 hour frisbee conversations are my favorite. I’m planning on doing a "beginner tips for women" series, hopefully sooner than later. I’m super analytical and I love teaching. Even while not being the BEST golfer myself, I understand golf and frisbees plenty. So my first tip (videos to come) is analyze your throw. Have a friend film you and dissect it. Watch a few pro videos online and see what you’re doing differently, or see if there’s some tiny piece of advice you can apply, one thing at a time. It’s crazy how much can improve by putting your foot in a different place, or moving your thumb over or using the tee pad differently. But in the wise wise words of Tim Skellenger, “Just try everything, if it doesn’t work for you, don’t do it. But try it.” That’s not a direct quote but it’s the idea. Also shout out to all you pros that keep throwing SUPER helpful advice my way. I feel like I’m in frisbee college and I love it. You know who you are, and I really appreciate it!